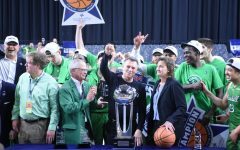 FRISCO, Texas – Marshall opened on a 9-0 run and never looked back Wednesday night, laying an 82-65 shellacking on the Rice Owls in an opening round matchup at the Conference USA Championship. 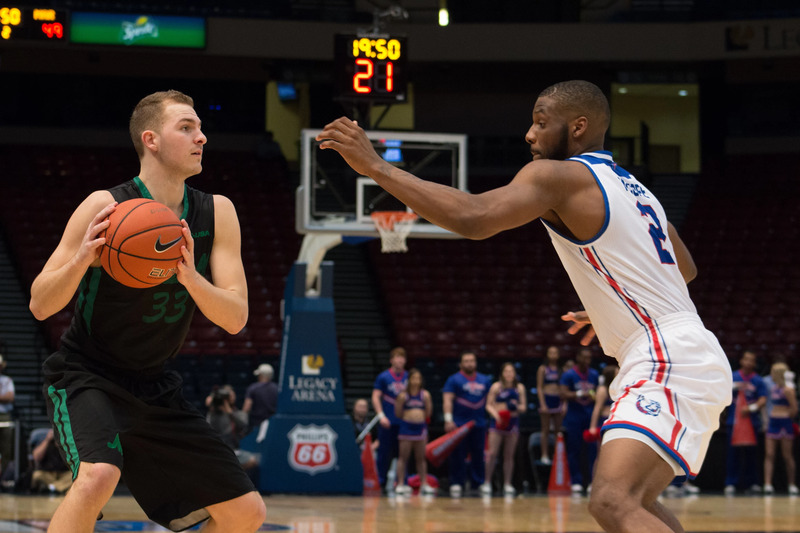 Jon Elmore led the Thundering Herd (18-13, 11-7 C-USA) with a game-high 32 points, six rebounds and six assists, flirting with a triple-double in the early stages of the game. 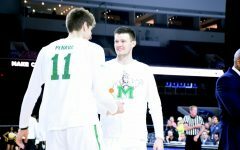 Marshall also had a balanced secondary scoring attack, as four other players scored at least eight points for the Herd. Taevion Kinsey had 12, Rondale Watson had 11 and frontcourt duo Jannson Williams and Darius George had nine and eight, respectively. 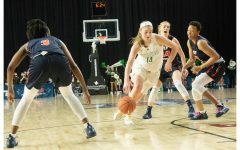 Marshall had a double-digit lead for the final 31:18 of the contest and led wire-to-wire, building its lead to as many as 32 late in the second half in a game where the final score did not indicate the disparity in talent between the two teams. 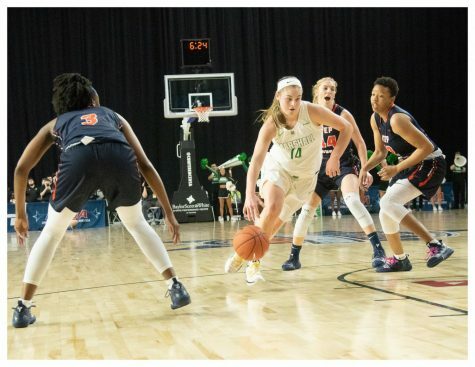 Rice used a mini run late in the first half to cut the Herd’s lead to 15 before a late Elmore 3-pointer extended its lead to 41-23 heading into halftime. 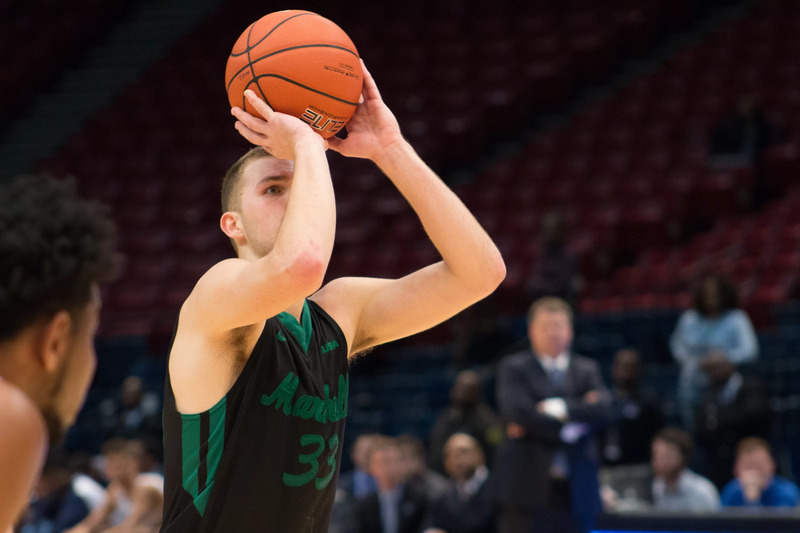 Elmore then scored eight of the second half’s first 10 points to put the game out of reach. The Herd led by at least 20 for the last 19:40 of the game. 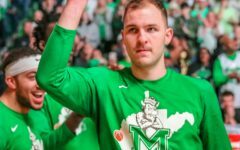 Marshall had an 80-49 lead before Rice scored 16 of the last 18 points after the Thundering Herd emptied its bench to make the final much closer than the game actually was. 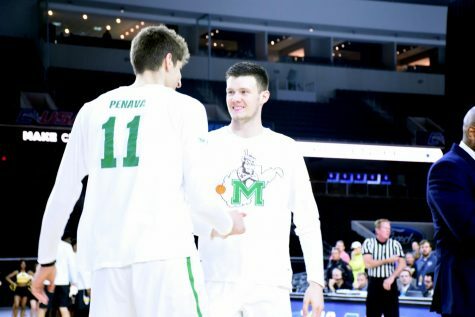 “There’s no time for us to celebrate,” Kinsey, playing in his first Conference USA Tournament game, said. “It was a good win but we’re already getting focused for the next game. 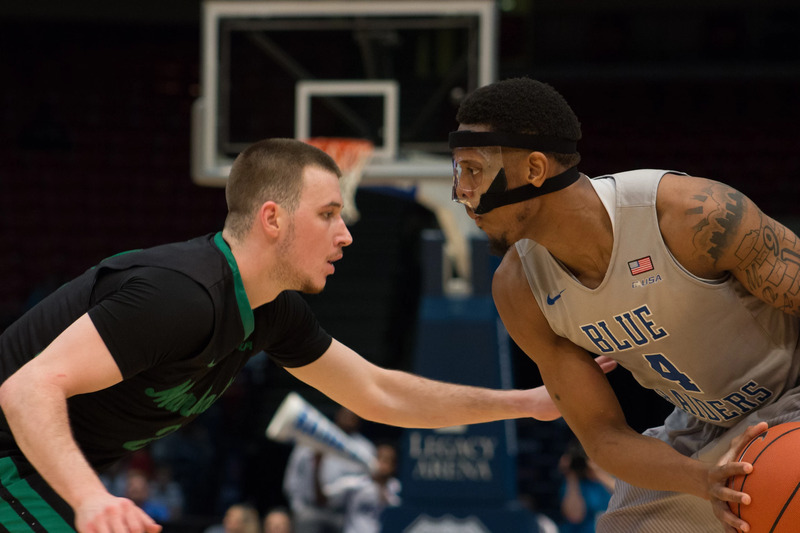 Robert Martin led Rice (13-19, 8-10 C-USA) with 16 points. The Owls also got 14 points apiece from Jack Williams and Trey Murphy III. 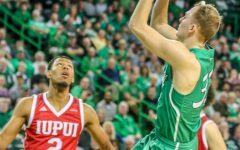 Chris Mullins, who entered the game second on the team in scoring, had just two points and Rice’s third-leading scorer this season, Ako Adams, went scoreless. 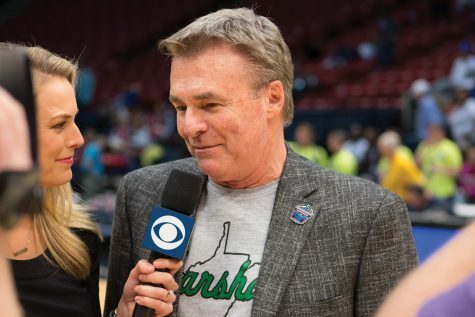 “Defensively, we turned them over quite a bit and forced them to the end of shot clocks several times,” D’Antoni said. 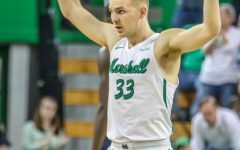 Marshall continues its title defense Thursday night against third-seeded Southern Miss, who beat the Herd by 50 earlier in the season. 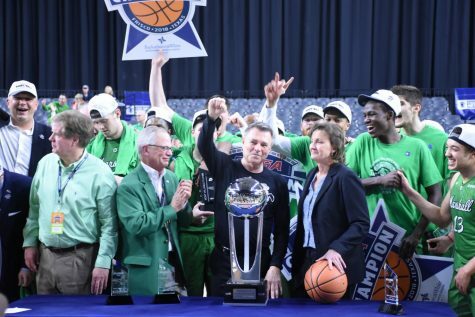 “(Head coach) Doc (Sadler) has done a great job for Southern Miss,” D’Antoni said. 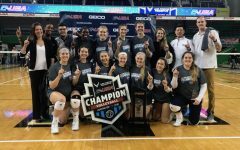 “It’s going to be a great game. 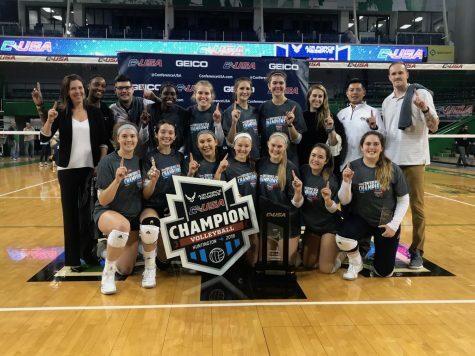 They’re a tough team, they’re little, they’re quick, they go every which way and you have to have energy to say in front of them. 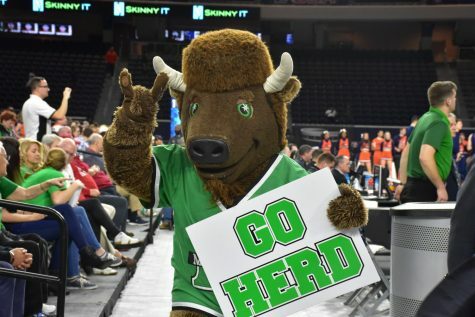 Tipoff between the Thundering Herd and Golden Eagles is slated for 10 p.m. EDT (9 p.m. CDT) inside Court B at Ford Center at The Star.